Current recommendations for physical activity state healthy adults should: 1) engage in moderate aerobic exercise for at least 150 minutes per week and 2) perform resistance training (i.e. strength training) for all major muscle groups at least two times per week (World Health Organization, 2010). However, according to recent reports (Bennie et al. 2017; Ward et al. 2016), less than 20% of adults over 60 year olds fulfill these recommendations, and this is due largely to non-compliance in the resistance training component of the recommendations. This lack of adherence to resistance training is a problem because muscle strength, power and mass decline with aging, resulting in decreased mobility (e.g. 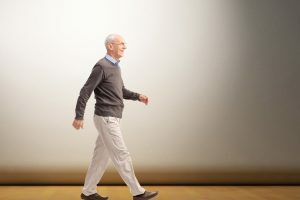 walking speed and confidence in walking), difficulties performing daily activities, and ultimately loss of independence. Although it may seem that for an older adult to maximize gains in strength, muscle mass and daily function, they should train several times per week, there is evidence from experiments (Taaffe et al. 1999) and meta-analyses (Silva et al. 2014) that older adults derive the same benefit in maximum strength when training one time per week as they do from training three times per week. So, does training one time per week also lead to equal benefits in daily function (e.g. walking speed)? And if this is true, is it such a bad thing that most older individuals don’t fulfill the recommended physical activity guidelines for resistance training? In our recent study (Turpela et al. 2017), sedentary older adults (65‒75 year olds) performed a 6-month supervised resistance training intervention. Participants went through 3 months of initiation training prior to the study to bypass the large initial gains in strength that occur with starting a new program. The participants chosen to be in the training group were further split into different groups that performed training at different frequencies. One group performed training one time per week, another trained two times per week, and another trained three times per week. There was also a control group that did not perform resistance training. Training consisted of progressive, machine-based weight-training of all major muscle groups using exercises such as the leg press, knee extension, bench press, pull-down, seated row, as well as abdominal and lower back exercises. Also, there were coaches present to ensure the participants performed the exercises correctly, and these coaches also encouraged progression of exercise intensity once participants became stronger. Participants were tested on maximum leg press strength (1-RM), maximum walking speed, and functional capacity on various tests (e.g. 10-stair climb and timed-up-and-go tests). Muscle and fat mass was also measured before and after the 6-month study. We found all training groups increased maximum strength (leg press 1-RM) compared to the control group. As might have been intuitive, training three times per week led to the largest gain in strength (~10%) followed by training two times per week (~6%) and then one time per week (~3%). However, all training groups improved equally on the tests of maximum walking speed and functional capacity (~2‒8%, depending on the test). There were no changes in muscle or fat mass in any group. 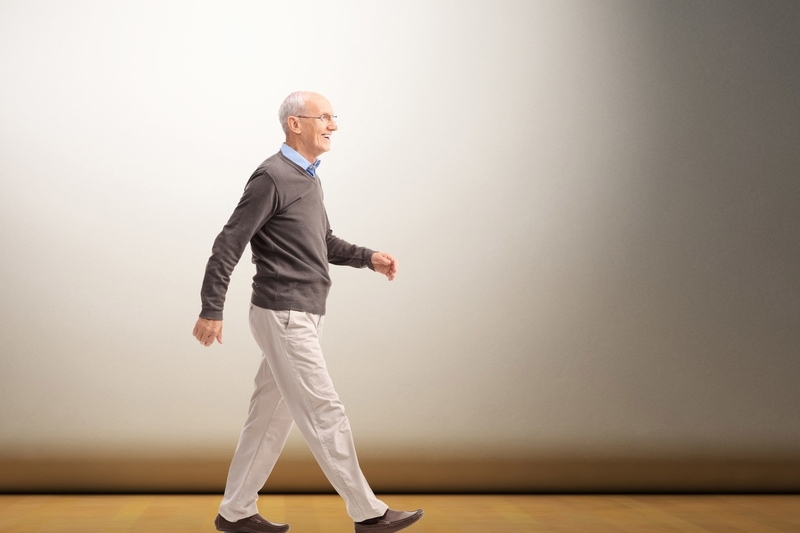 While promotion of exercise should still target getting individuals to adhere to the recommended guidelines, benefits for maximum walking speed can be obtained from just one resistance training session per week in older adults. Therefore, older adults with no previous experience in strength training could be encouraged to visit the gym once per week to begin with. 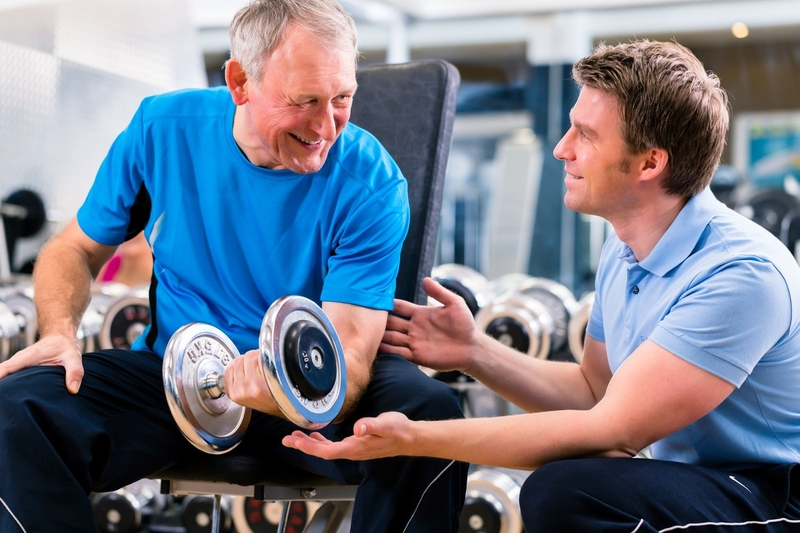 Getting a high proportion of older individuals to perform resistance training just one time per week would be a huge success for our aging society and greatly beneficial for each individual. However, to maximize improvements in muscle mass with resistance training, nutritional interventions may be needed. Turpela M, Häkkinen K, Haff GG, Walker S. Effects of different strength training frequencies on maximum strength, body composition and functional capacity in healthy older adults. Exp Gerontol. 98: 13-12, 2017. Bennie JA, Pedisic Z, Suni JH, Tokola K, Husu P, Biddle SJH, Vasankari T. Self-reported health-enhancing physical activity recommendation adherence among 64,380 Finnish adults. Scand J Med Sci Sports. 27: 1842‐1853, 2017. Silva NL, Oliveira RB, Fleck SJ, Leon ACMP, Farinatti P. Inﬂuence of strength training variables on strength gains in adults over 55 years-old: a meta-analysis of dose-response relationships. J Sci Med Sport. 17: 337–344, 2014. Taaffe DR, Duret C, Wheeler S, Marcus R. Once-weekly resistance exercise improves muscle strength and neuromuscular performance in older adults. J Am Geriatr Soc. 47: 1208-1214, 1999. Ward BW, Clarke TC, Nugent CN, Schiller JS. Early release of selected estimates based on data from the 2015 National Health Interview Survey. US Department of Health and Human Services, National Center for Health Statistics, USA. 2016. World Health Organization. Global Recommendations on Physical Activity for Health. WHO press, Geneva, Swizerland. 2010. Dr. Simon Walker is a Post-doctoral Researcher at the Faculty of Sport and Health Sciences, University of Jyväskylä, Finland. 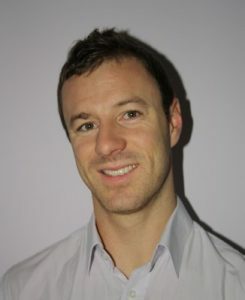 His main research focuses on neuromuscular adaptations to resistance training in young and older adults. He is an Associate Editor of the Journal of Strength and Conditioning Research as well as SpringerPlus journal. More information about Dr. Walker an be found at his staff webpage.